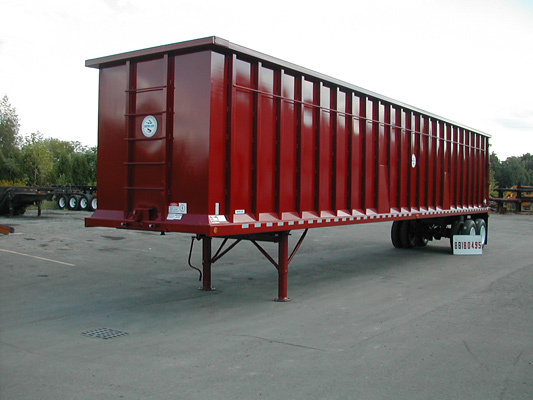 Open top scrap metal hauler trailers are for sale at BENLEE. 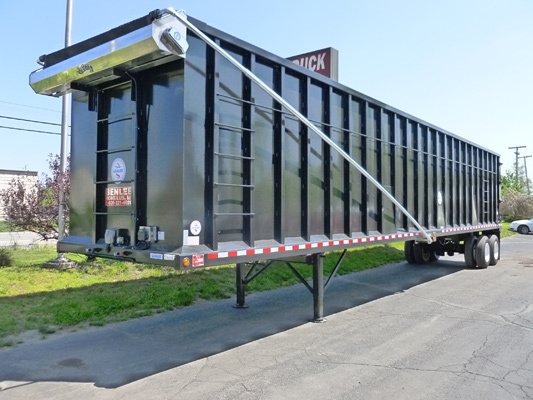 These are huge 48′ and 53′ Open top trailers that can carry enormous amounts of material. They are light weight in that they have no frame. They are up to about 130 Cu Yards, so more than 3 times the amount of a 40 yard box. 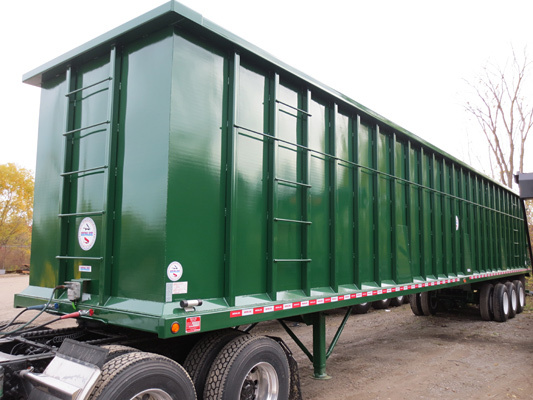 These of course are semi trailers that are used in at scrap yards and salvage yards to mainly carry demolition scrap very efficiently and shreddable material to shredders! 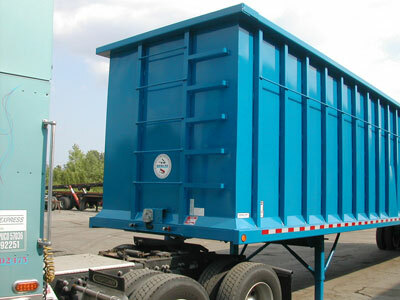 They are great scrap hauling trailers. Sorry we do no have any used ones at this time. 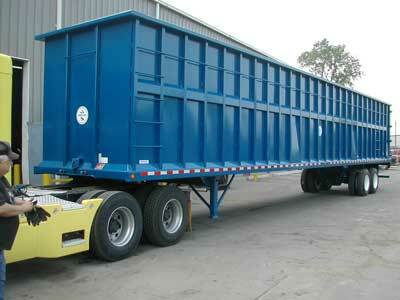 We new stock new ones for immediate shipment.